Ah spring. The time for projects. I love projects. I love improving our spread as I enjoy spending time in the great outdoors. We also enjoy gardening. As an extension about 17 years ago we built a 12 x 16 foot greenhouse. Within this greenhouse we can initiate an early start to spring by giving our plants an environment where they can grow as if it was June. One of the favorite ways to provide this head start is to purchase the items we want in our window boxes early and insert them in the window boxes 7-9 weeks ahead of the last frost date when we can actually bring the window boxes out to enjoy. Allowing the plants to grow their roots with this head start means when we bring them out in May they are healthy and thriving. You may not think these are growing that much, but if you click Spring is Coming Part 1 you will see there has been some definite growth. One of our challenges where we live is that I have acres of farm land on three sides of my property. This is a great thing for many reasons. But one negative is that the wild life is thick and willing to come and take as they please. We have battled rabbits and groundhogs for years as we attempt to raise a garden. Up until the last few years we have been able to win this epic struggle. But lately the critters are the only ones getting fat on our vegetables. After the success of our new raised bed where we grew tomatoes we decided to expand our alternative growing method with a long raised bed to house our bush beans. Long ago we introduced our family to a type of bush bean called Tenderettes. After nearly two decades of enjoyment my family truly prefers the ones we grow and can. But if you cannot control the rodents there is nothing to enjoy. Enter the new raised bed. Now I will share the complicating factor. As life goes there can be situations that make you rethink your plans. After hauling two loads of ground compost to half fill our raised bed I ran into issues with my truck. Now I am scrambling to work out an alternative way. Thankfully we are up to four weeks away from the safe time as far as last frost before we can plant so I have considerable wiggle room. You can see there is a black landscape fabric flanking this bed. While I am working out the alternative method to fill the long raised bed I will be using one of my favorite tools, my Kubota tractor to dump wood chips on the fabric to eliminate the need to cut the grass that would grow up around the bed. By taking this out of the equation I don’t have to be concerned about cut grass drifting into the bed and starting weeds. Another alternative vegetable growing plan we have in progress actually came from a video we enjoyed courtesy of Facebook. We like to grow and enjoy potatoes. Specifically we enjoy the small or “new” potatoes. Aren’t all potatoes new you ask? Well yes, but what I mean is young potatoes with a very thin skin. Basically the idea is to take a pot and cut four openings in it. Then you slip it inside another pot of the same size, fill to about 1/3 depth, place seed potatoes in the soil, cover the seed potatoes, water and let them grow. Then as the green shoots of the potatoes grow you cover them repeatedly until you have filled the pot. After three months you lift the pot with the sections cut out and harvest your crop. I made pictures as I created this for your enjoyment. For the past few years we have selected a specific type of potting soil sold by Miracle Grow. We learned almost a decade and a half ago how important it is to have a base soli for new plants that does not pack down like the garden soil at our home. Tender roots respond so much better to this loose mix. The particular type we choose to employ is called Moisture Control. The selling point is that it is designed to keep the moisture content as close to optimal as possible. Of course that does not mean you can avoid watering, but that if you water frequently the soil will help maximize the effectiveness. We have several plantings of daffodils and tulips in our yard that are perennial disappointments. Apparently they are not hardy enough to withstand the wildly varying ups and downs of temperatures here in the mountains of Southwestern end of Virginia. As a result we ordered a new batch of supposedly “hardier” daffodils and tulips and dug out a new bed for them. The daffodils are pictures in Spring is Coming Part 1 and now the tulips are showing their colors. My last addition to this post is in the form of photos of some trees I grafted during a county extension service class last week. At my home place, meaning where I grew up, their is this 4o year old “Early Harvest” apple tree. It is a yellow apple that is ripe at the first of July and cooks down into almost an apple sauce. I have wanted to graft some scions off of it for years and finally accomplished the first part of the process during this class. In all I grafted seven trees: four of the Early Harvest, a Rambo, a Gala and a Cortland. I won’t know for a little bit if any or all of them will successfully graft, but check back here for updates. As I said in the beginning of this post I love projects. Even now as I realize the completion of some projects even more are dotting my radar. This past Saturday I enjoyed a day in which the Fitbit strapped to my arm recorded 28,636 steps. Five days a week I am held down to a chair by my job as a computer software tester, so when I get a chance to head outside I always have a plan in mind. I hope you will be looking for Spring is Coming part 3 where I will update you on all these activities and maybe some new ones. This entry was posted in Begonias, gardening, Geraniums, indoor gardening, Mandevilla and tagged annuals. full sun annuals. geraniums., begonia, Geraniums, greenhouse, Mandevilla, sings of spring on April 4, 2017 by Joe Owens. Now I am sure spring is coming very soon. It is not just because the calendar says we are officially into the season. For sure the thought that spring should be starting is a big help, but the matter that gives me hope is that we put the first plants in our greenhouse yesterday. Once upon a time, when I operated a full scale greenhouse business this date would be much earlier, but since we are only growing our own plants it has to be a bit later in the winter. In case you cannot see the plants they are zonal geraniums. We bought them at a local greenhouse where we always get our plants. Yes, they are young, but by putting them in our window boxes now we can grow them faster and bigger with a specific feeding regimen. Also the 12 x 16 greenhouse we use heats up quick meaning the osil temperature will rise and help with the growing process. Even though these plants look small they have some nice roots on them. I fished my phone out of my pocket to snap a photo to share with you. Here you can see the roots reaching toward the bottom of the four inch square pot we bought them in. We also picked up another couple of plants, a pink Mandevilla. We also have two small pots with the left over tulips from our new bulb garden. I had them hanging on the coat rack leading to our basement an noticed they had begun to sprout in mid-January, so I did not want them to go to waste. I Intend to share photos of the plants as they grow over the next few weeks and invite you back to check the progress. I also plan to get tomato seeds in the dirt in the next two or three days so they will be ready when the last threat of frost is past. Unfortunately that may be a bit dodgy this year as we had thunder on February 28th. According to legend if you have thunder on a day in February you will see frost on that day in May. Usually we try to plant tomatoes by mid-May. I suppose we will make that determination when we see how the weather arrives. In Spring is Coming Part 2, I will show you our new 32 foot raised bed intended to grow green beans out of the reach of our vegetable loving rodent neighbors! This entry was posted in Begonias, gardening, Geraniums, indoor gardening, Mandevilla and tagged annuals. full sun annuals. geraniums., begonia, Geraniums, greenhouse, Mandevilla, sings of spring on March 21, 2017 by Joe Owens. 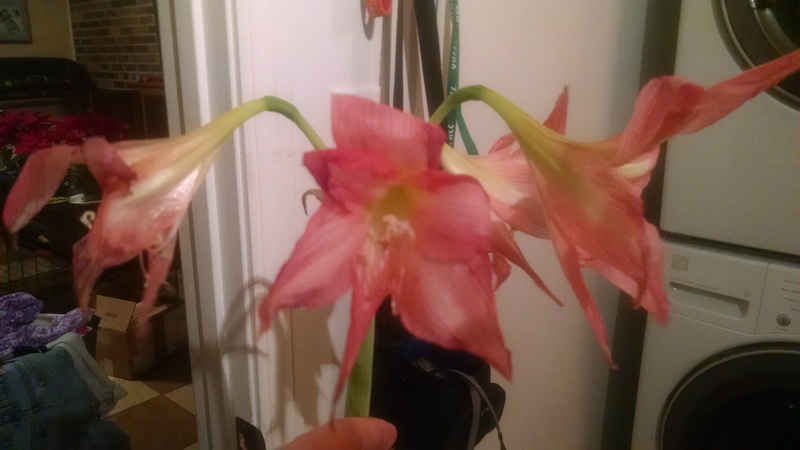 My experience with Amaryllis has been brief, basically just over the last two years. Like everyone else, I always used to see them in the stores when the end of year holiday sales began. I have tried a few over the years with varying degrees of success. But none that I bought ever seemed to live after the initial bloom cycle. 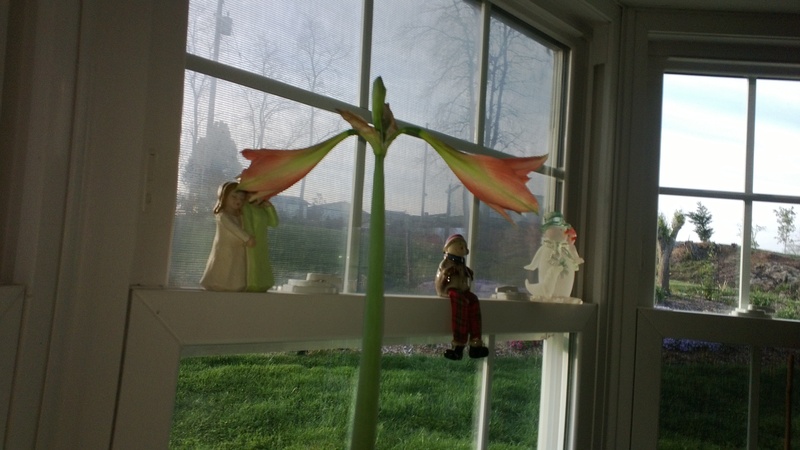 My experience changed however when I noticed an Amaryllis that belonged to my aunt. It was one that had been given to her by her mother. I am unsure how long she had it before my aunt got it, but I know it was a considerable amount of time due to the size. I expressed an interest and soon after my aunt brought me part of hers to grow on my own. 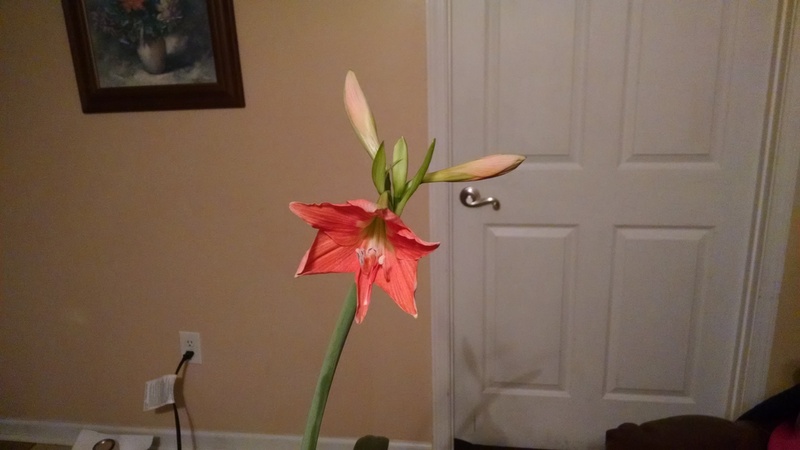 It took about four months to get a bloom and it was a different color than any I had seen before. I was visiting a local greenhouse late last week and saw some of their Amarayllis. 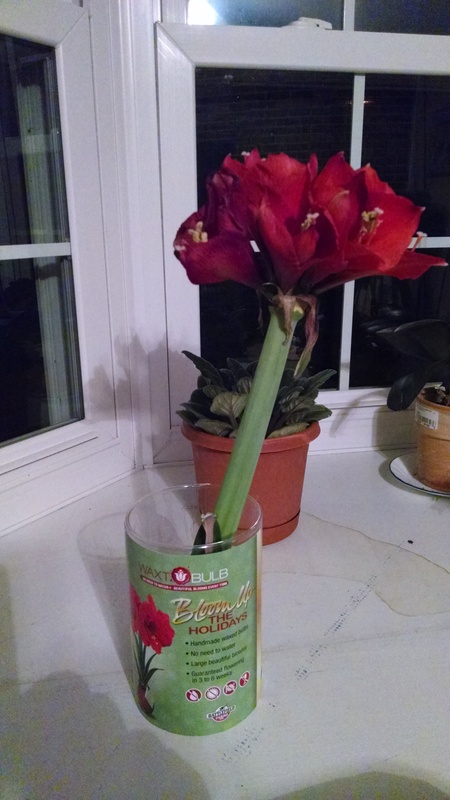 The ones they sell have only a large bulb and the bloom stems. The ones they sell are the bright red I usually see for sale around the holidays. That is one reason the particular color I have is so interesting to me. 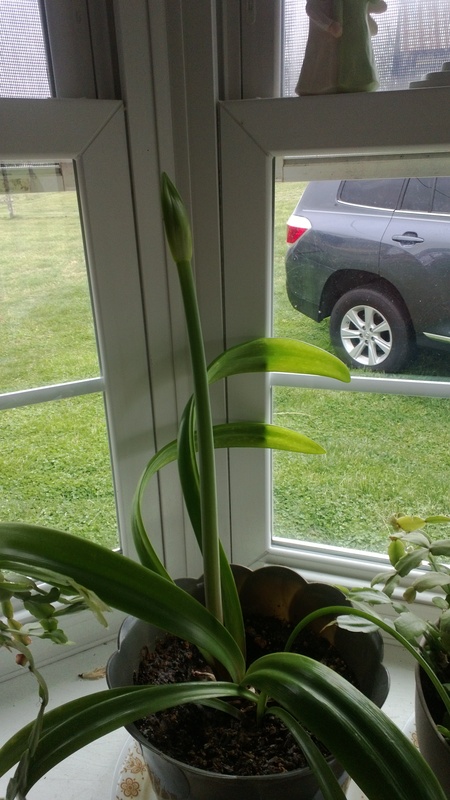 This entry was posted in Amaryllis, flowers, indoor gardening, Uncategorized on April 1, 2015 by Joe Owens. For me there is just nothing like the entire process of a blooming plant. 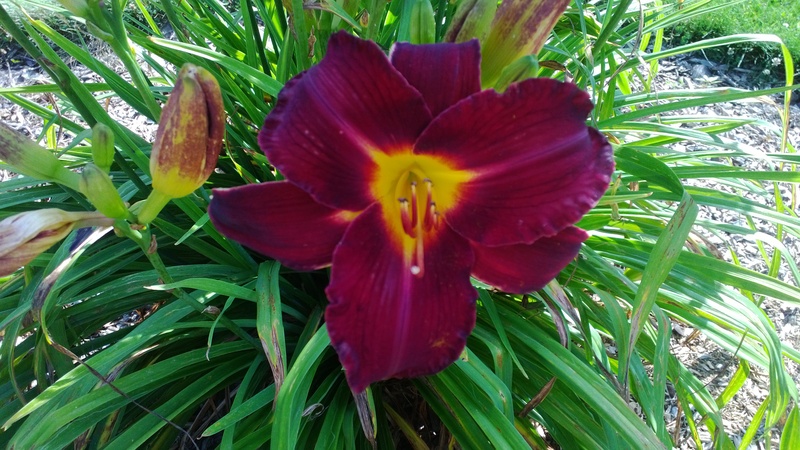 From the first signs that the bloom time is near all the way through the sometimes painfully slow bud process, this wonderful treat of God is such a natural high for me. Of course each plant has its particular process, but just the promise of the color and beauty of the bloom set makes it all worthwhile to me. As I author this particular post there remains the remnants of two USA centered winther storms, #Octavia and #Pandora that combined to drop almost a foot and a half of snow on my area, which is in the mountains of Virginia. Our elevation is abour 2,300 feet above sea level, but the snow we get might toal 5-6 inches per winter. This year has been exceptional and should have put me into a mental tailspin. You see I suffer from a form of the Seasonal Affective Disorder, which is directly ties to lack of sunlight and being couped up due to weather. But, thanks to our love of plants for one part, i have something to keep my mind satisfied. Seven or eight years ago we enclosed a carport to make a den. When doing so we installed a south-facing bay window. As it happens it was a genius idea as it relates to the indoor plants we favor. In particular our Orchids and African Violets seem to thrive here. 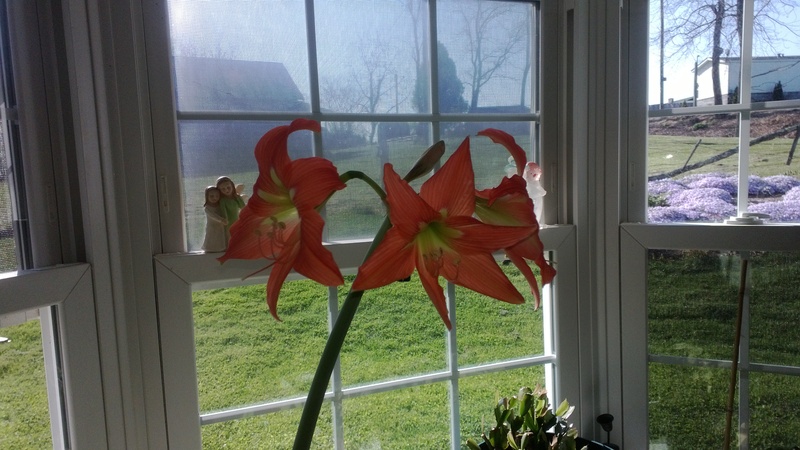 Two Amaryllis I started just after Christmas. The one on the left is an Apple Blossom variety. 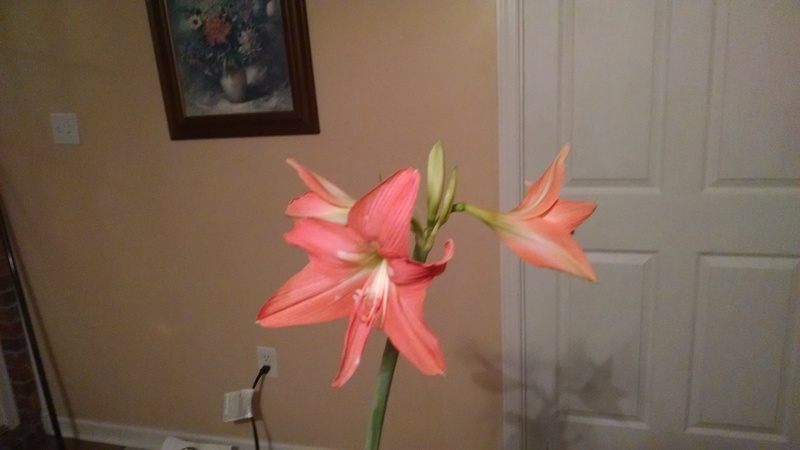 The right one is a red variety that was sold at Lowes with a wax covering. The bloom was horrible as you can see in the next photo. I hope removing the wax and letting it grow natural will bring better results. If you look in the center you can see the beginning of a small bloom. 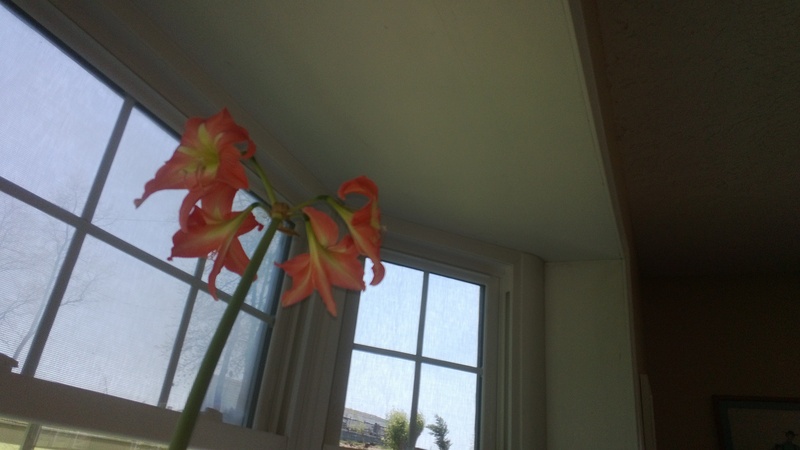 The same plant with a flash tohighlight the bloom more. This is a propogation off our African Violets my wife started with a single leaf in an East facing window. One of our more mature Orchids, setting up for a spectacular display with the next 3-4 weeks. 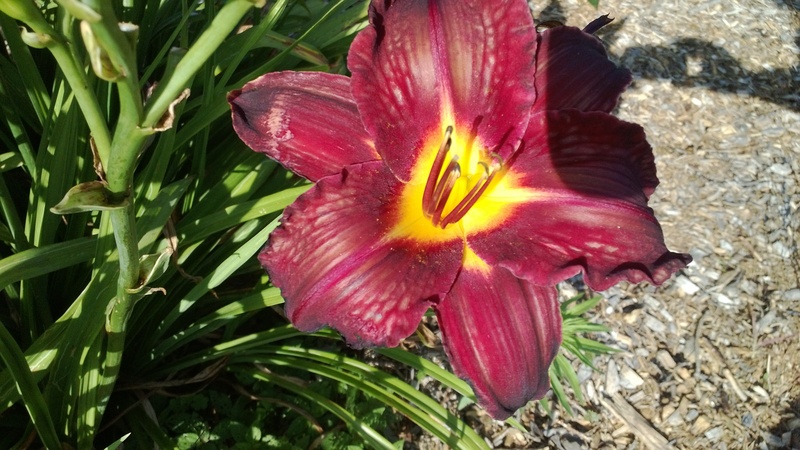 A smaller variety with a deep, rich color. The wildcard that I cannot remember yet. I look forward to the surprise. You can see the idea of Battleground Farms to encase the bulb in wax is not a great one. We baby the Orchids here until they get to the bud stage then we relocate them to my wife’s hair salon which is in the basement of our house. They are a wonderful conversation piece and thrive due to the light conditions there, benefiting from northwestern exposure. With floral reinforcements like this to buoy my mood i am in good shape until the wide canvas outside thaws. I invite you to return for the series I publish about the innumerable varieties in my outside landscape. 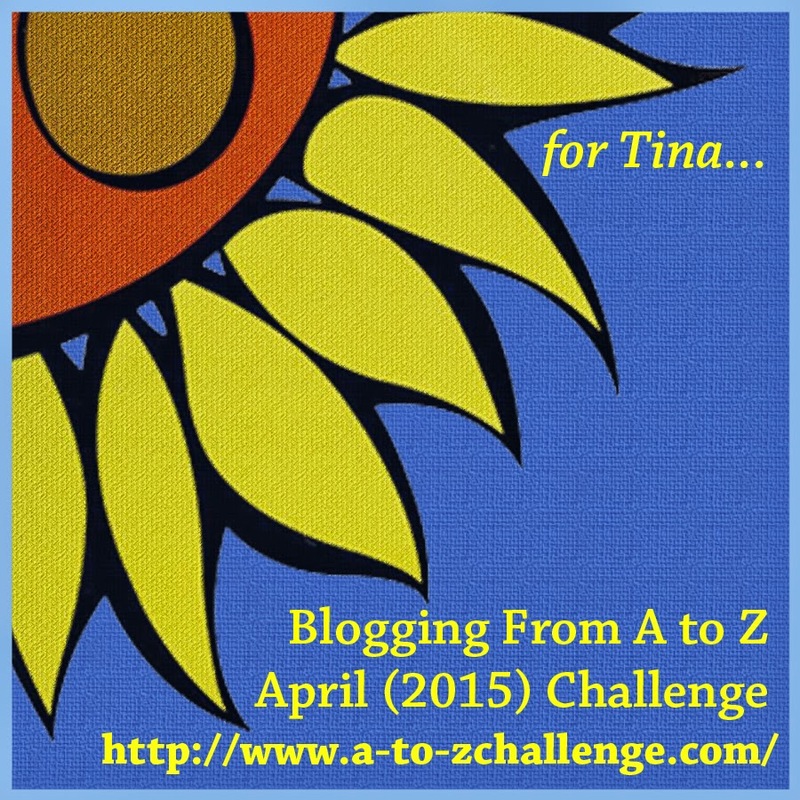 Also look for the 2015 A to Z posts where i will showcase at least 26 plants I love. 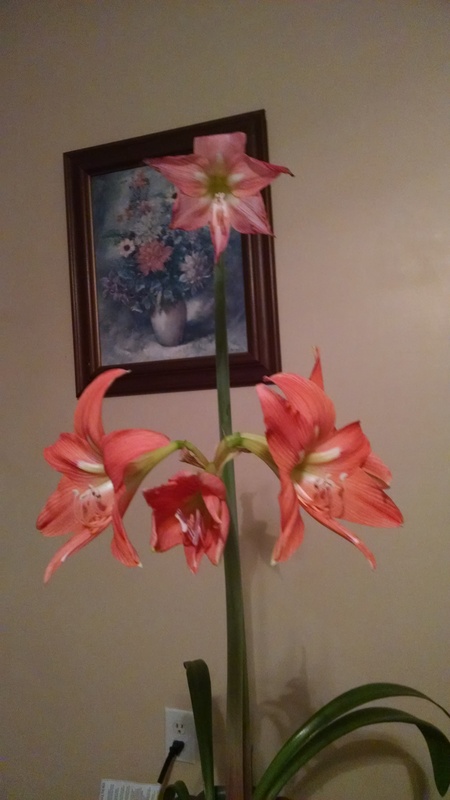 This entry was posted in African Violets, Amaryllis, flowers, house plants, indoor gardening, Orchids, Uncategorized and tagged african violets, amaryllis, flowers, houseplants, indoor gardening, orchids, Seasonal Affective Disorder on February 23, 2015 by Joe Owens. 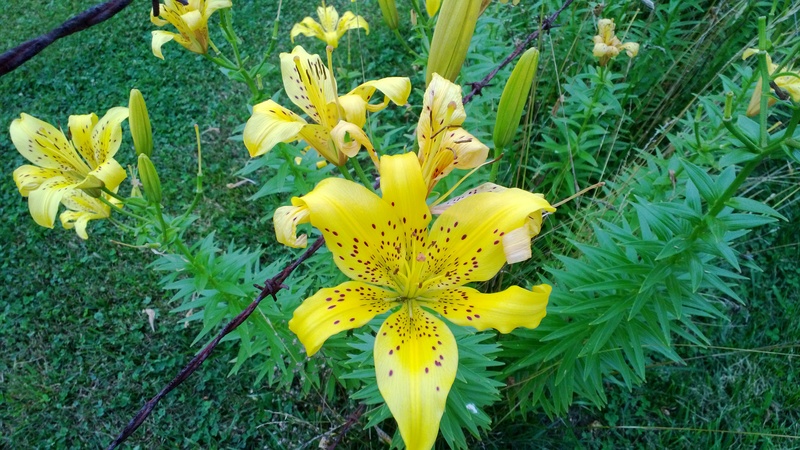 The lilies, oh the lilies! To say I am partial to lilies is a supreme understatement. I love every kind. 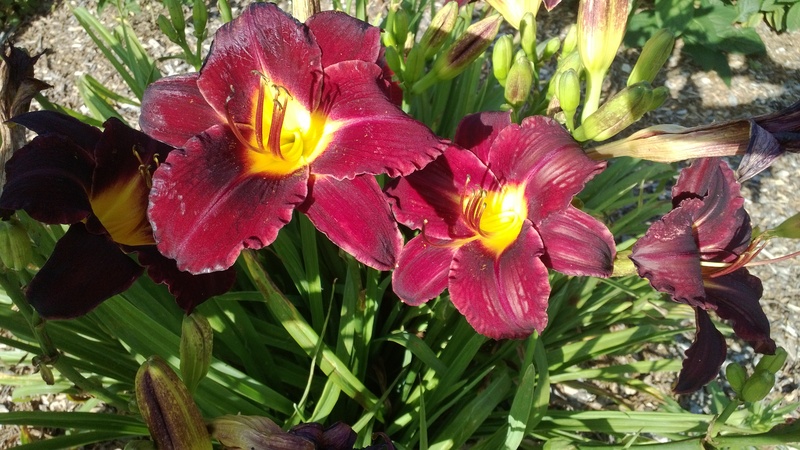 I have some Asiatic ones that I transplanted from my parents yard as well as some day lilies we bought to add to our beds. These were the best choice as my offering to the weekly floral photography invitational I joined last week. it is called the Floral Friday Fotos. 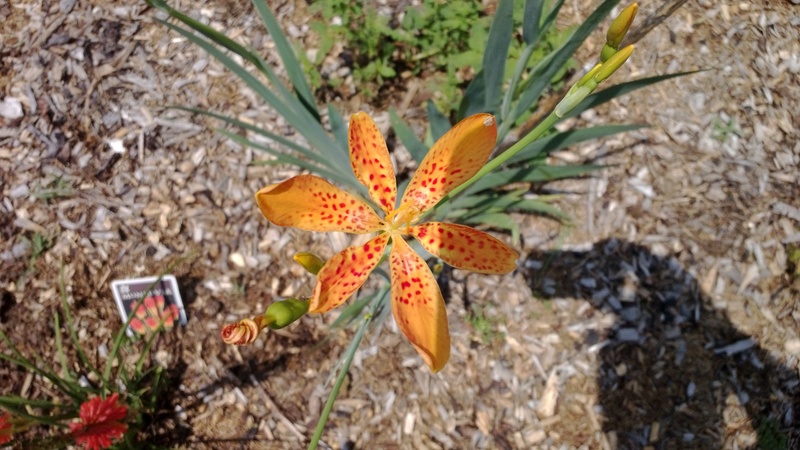 This is a blackberry lily. The Asiatic I transferred from my home place. 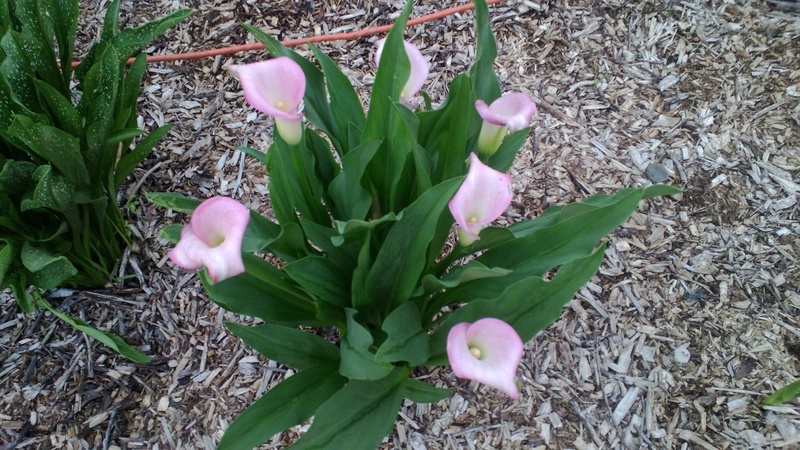 One of the many Calla Lilies we have planted with our Dahlias. Next week I will share several photos of the Dahlias we enjoy as cut flowers all summer. Until then happy bloom chasing! 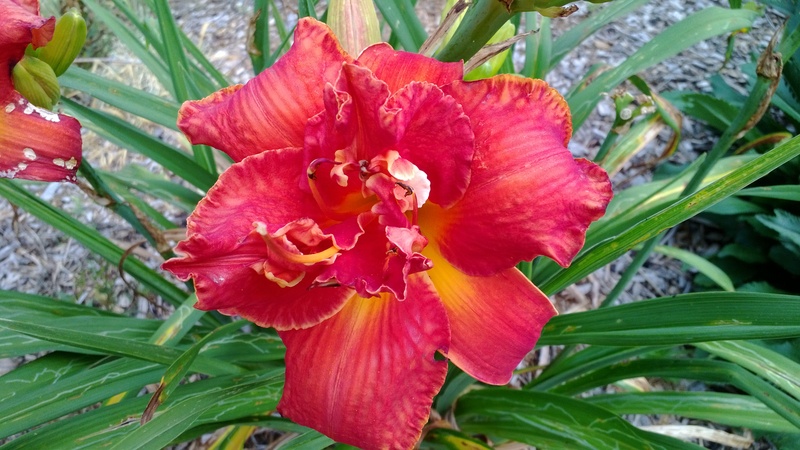 This entry was posted in flowers, gardening, house plants, indoor gardening and tagged Asiatic lily, blackberry lily, day lilies, lilies, orchids on February 20, 2015 by Joe Owens. I AM SO EXCITED! I FINALLY HAVE FOUND MY PEOPLE!!!! Okay, now that I have that out of my system I will inform those who visit my blog what exactly i have discovered. 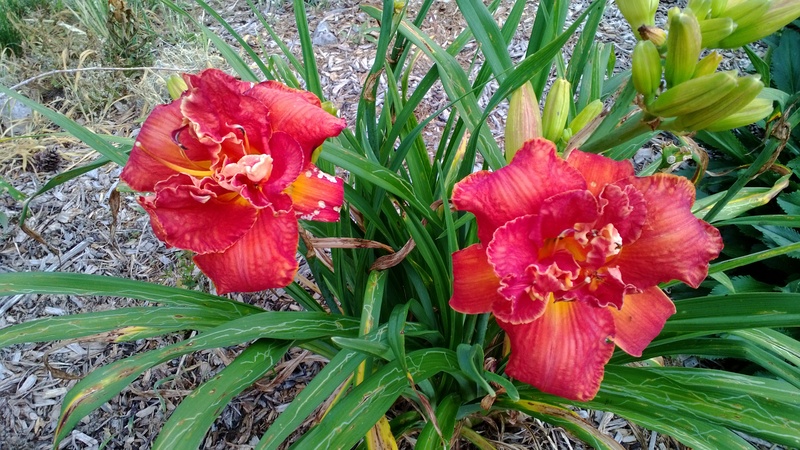 Through the WordPress Reader I stumbled across another weekly invitational challenge to post photos of my floral finds. it is called the Floral Friday Fotos. I LOVE taking photos of blooms. 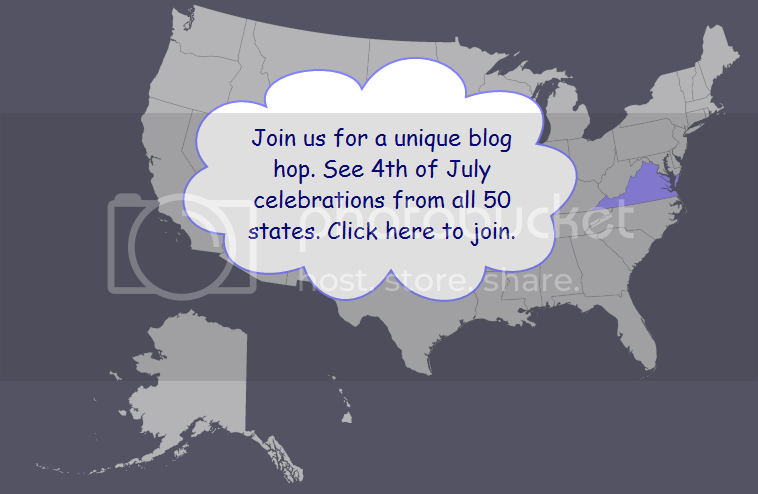 hence the name of this blog. From the looks of the other links there is a heavy influence from the Land Down Under in those participating, so perhaps i can make some friends where the koalas and kangaroos rule. 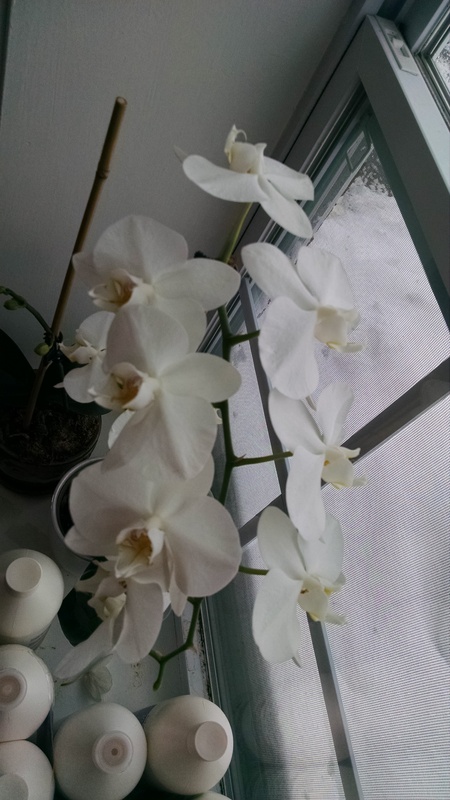 I have some photos of the various orchids in our home to share. Obviously these are inside plants where I live, which is in the mountains of Virginia. They help me make it through the cold and dreary doldrums without blooms from November through March. 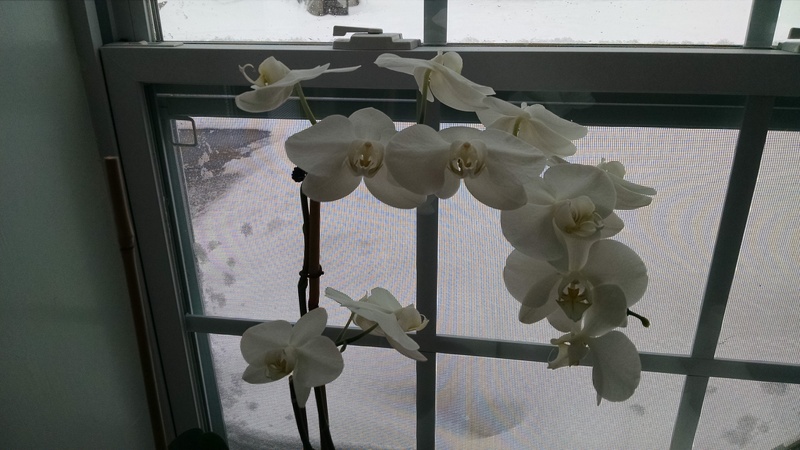 This entry was posted in flowers, gardening, house plants, indoor gardening and tagged orchids on February 13, 2015 by Joe Owens.